I wish that I could take credit for this idea but I was just the facilitator for the brilliance of my friend, Mary and her wonderful, funny, four-year-old son, Owen. About a month ago, Mary asked me to make pillow covers for her husband and her father as gifts for Father's Day (and one for her Mom as well). 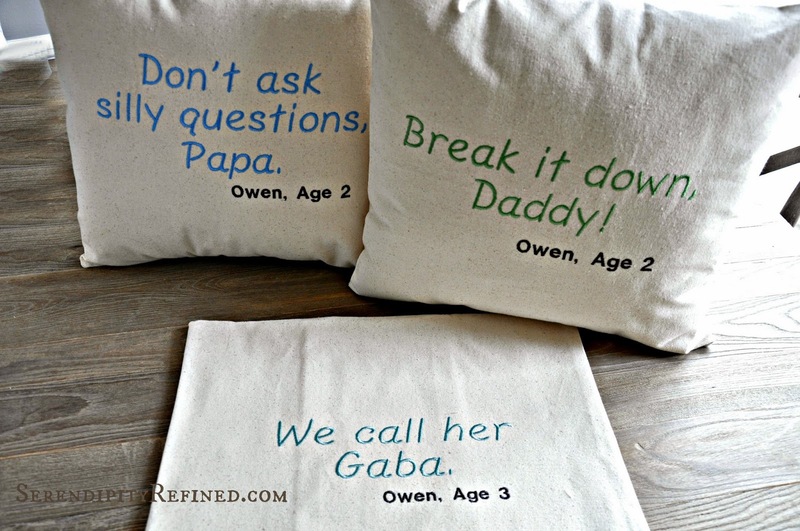 The pillows are embroidered with quotes that have special meanings for each of them. They're things that Mary's son says to them, with some regularity, during their times together. Brilliant, right? 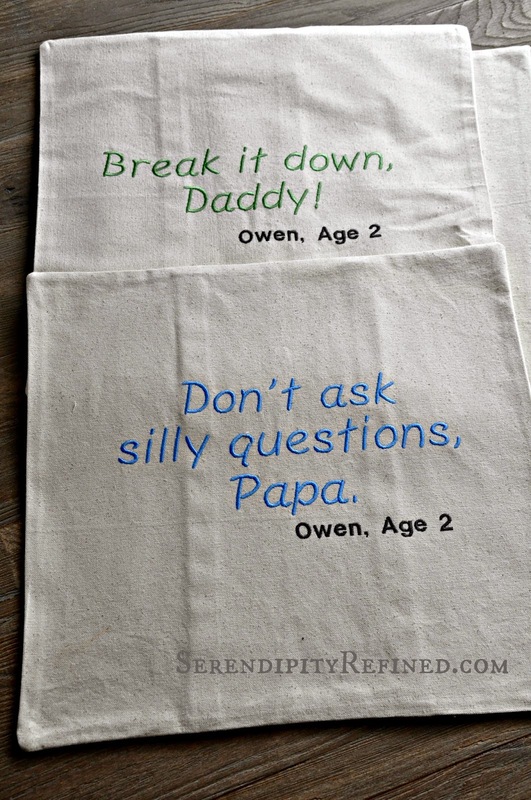 A cute, clever, Father's Day gift that will never be duplicated. 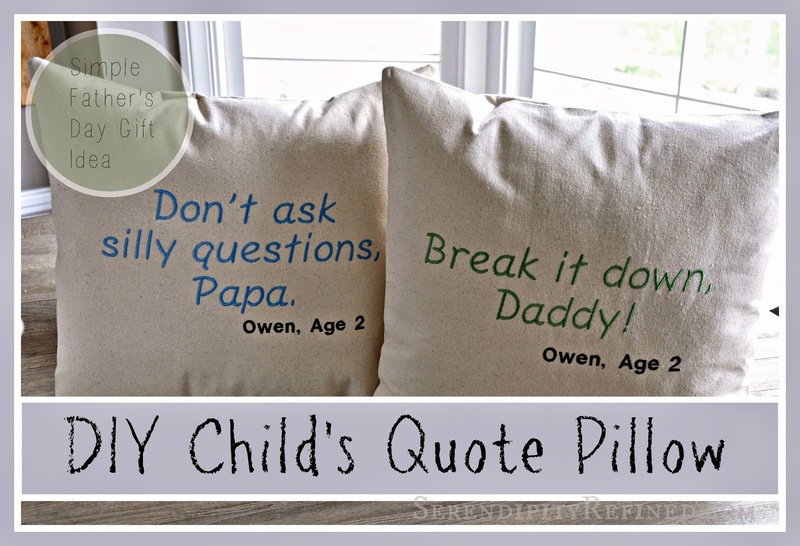 A canvas drop cloth pillow with a special quote from a child to his or her Dad or Grandpa. These would be adorable stenciled or lettered in sharpie marker. Heck, if your little one is old enough, it could be in his or her own writing. Geez...why didn't I think of that? !